Nothing defines a space quite like an area rug. It grounds the furniture and can amplify any room by adding color, texture, or pattern. It can act as a bold work of art and be the star of the room, or can be a soft neutral accompaniment. Whichever way you go, make sure to choose one that suits your lifestyle best. For instance, if you have kids and/or pets, you'll want to go with durable wool that cleans easily and a pattern that hides imperfection. It's an investment piece so choose wisely and opt for natural fibers versus synthetic options. 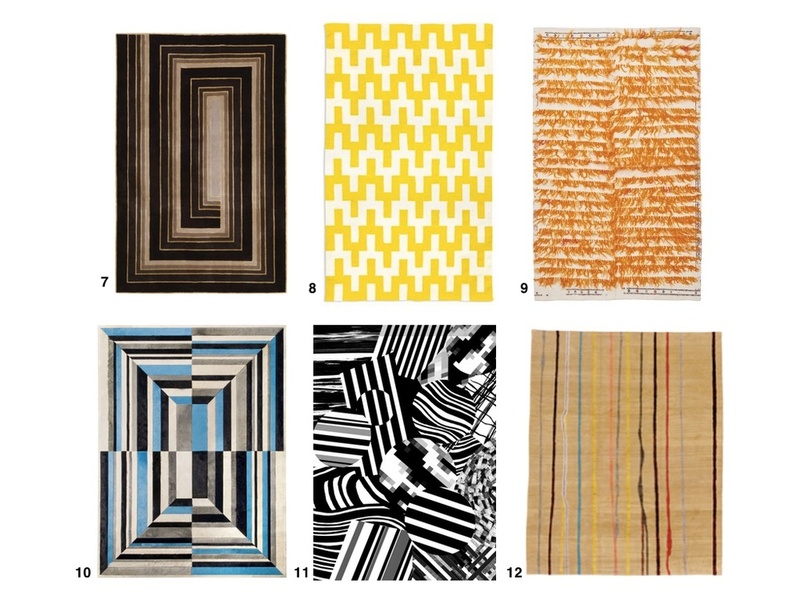 Here is a round up of the most beautiful rugs currently on the market.